With Forgefiber we wanted to create a fully integrated branding solution with product. More times than not logos are just slapped onto product without much thought. For this identity we wanted to integrate the branding into the product in a holistic way without disctrupting the beauty of the shoe. 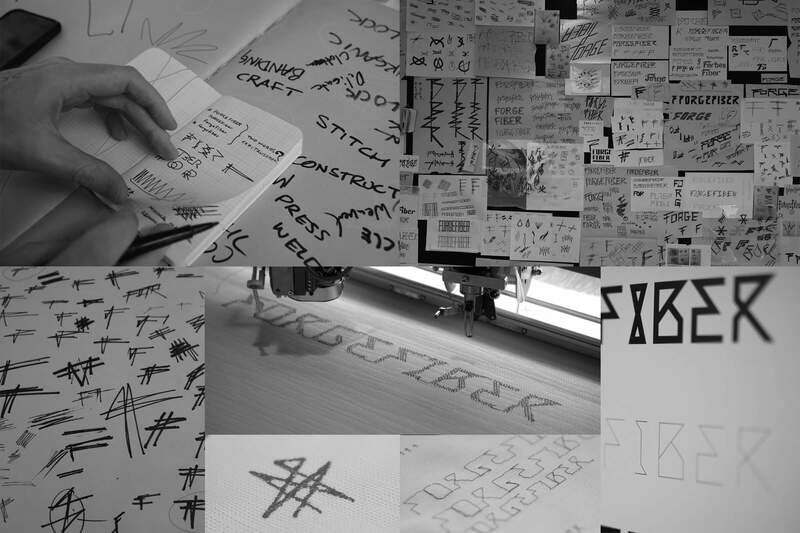 The signature mark is intended to only be used on product, while the accompanying wordmark is used in the sockliner of the shoe and in all marketing and communications materials. The signature stitch is inspired by an embroidery engineering technique called a lock-stitch, which is intended to hold the thread in place. We loved the idea of taking a small engineering trick and amplifying it into the identity of the technology. It speaks to the process of the technology in a raw and honest way. 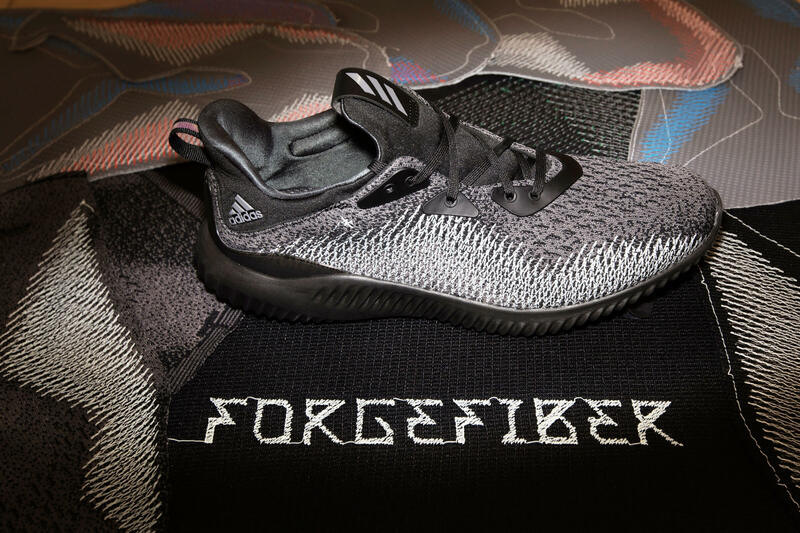 Forgefiber, a process using TPU-coated yarn, maximizes performance when stitched and compressed at various angles and layers for ultimate strength in motion. 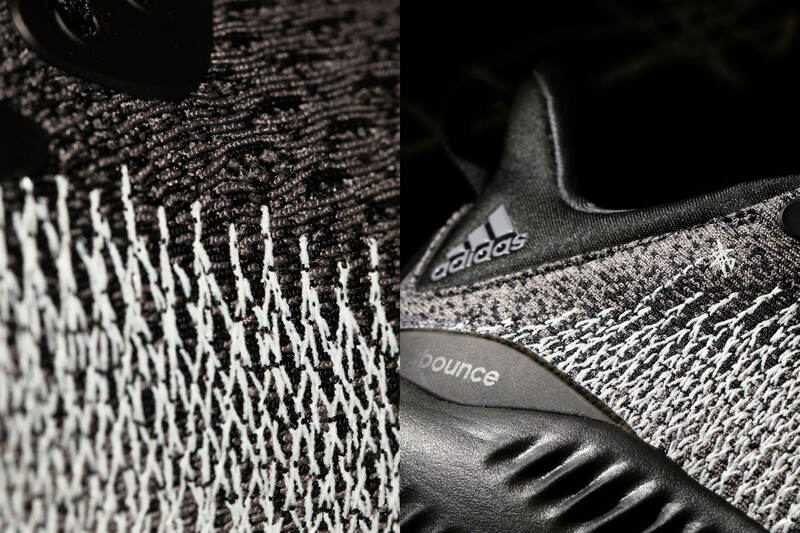 Through the exploration of how organic cell structures grow, the adidas Future team created a design process for uppers that is more aligned with the science behind natural body movement. Using fewer materials, but focusing on all the different ways the TPU yarn interacts with the other materials increases its strength value. 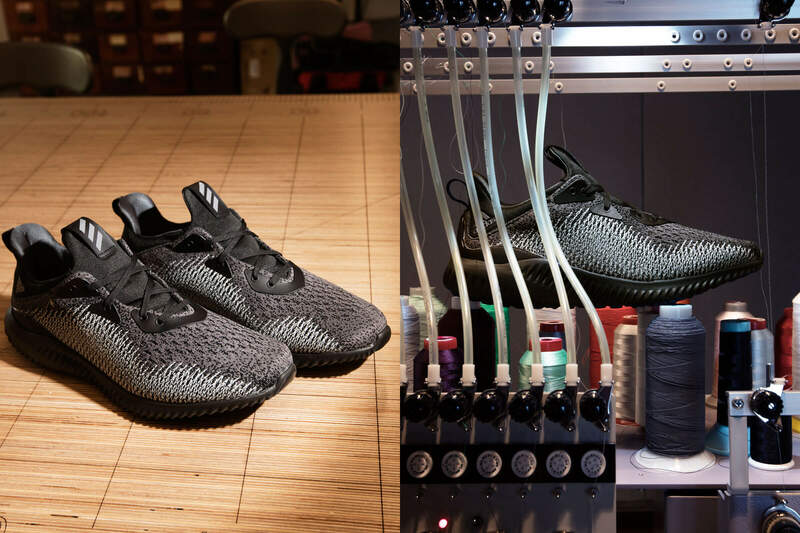 Various stitching styles, heat, and compression were all critical to the process of balancing efficiency, sustainability and the athlete's needs.